While many agents may promise to sell your home for the money YOU want, the reality of the real estate market is that this simply doesn’t always happen. The fact of the matter is, the majority of homes sell for a price which falls slightly short of what sellers may have been lead to believe they can get if they don’t get a Realtor who is an expert in the market. To get full market value you need an agent you can trust to be truthful! There are two factors at play here. On the one hand, you need to be beware of agents who set the list price on homes at unrealistically high levels simply to get listings. This is really unfair because it can set homeowners up for disappointment and failure. Although we are in a ‘seller’s market’ there are still guidelines and ethics that Realtors follow that specifically address these actions. They are acting on the emotions of the seller and not on the logic of the actual market. Be wary if you run into an agent who says they can get you 20% more than the market indicates. I will honestly evaluate the value of your home in the current market through running reports and considering the upgrades you have in your home. We will then sit down and discuss these reports and your home at length to come up with an honest and REALISTIC price for your home. An honest realistic assessment of your home will give you the best indication of value in the market. I have a marketing plan that will add your home to several websites, give potential buyers a way to access information through texting and provide you with full color brochures. I will place full color photos and a video tour up on Youtube and Realtor.com and you will have a Unique Website Address for your property. There’s nothing worse to a home seller than to have their home sit unsold for many months because of improper pricing and/or marketing techniques. Needless to say, either of these situations is highly frustrating to any home seller. But more than that, it can be financially crushing if you’re counting on the full proceeds of the sale of your home to fulfill some other obligation. I have over 30 years of experience in the Denver Front Range Market. I have several designations and am always upgrading my continuing education to better serve my clients and provide up to date information! Home prices are determined by the marketplace not by your emotional attachment or by what you feel your home is worth. You should work closely with an agent who will suggest establishing a realistic price for your home. 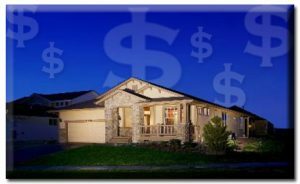 They will help you to objectively compare the price, features and condition of all similar homes in both your neighborhood and other similar ones which have sold in recent months. It is also important to be familiar with the terms of each potential sale. Terms are often as important as price in today’s market. With my CMA (Current Market Analysis) I will show you through reports and past area sale what the true value of your home should be. There are always factors which will determine your value, such as location and condition of your home. I will take these into consideration when we determine your listing price. Will they set up an aggressive marketing program to ensure your home is exposed to hundreds of qualified buyers? How much money does this agent spend in advertising the homes s/he lists versus other agents. In what media do they advertise, (newspaper, magazine, TV. etc.) Do they use, “For Sale” signs, lock boxes, current technologies including websites, social media outlets and texting and QR codes? We do! We use facebook and twitter to promote your property along with Pinterest and MORE! Each of our listings has a unique QR text code that any smart phone can access for immediate information!! We do so much to promote your listing that we can’t put it all on this page. Call me 303-898-9000! Or Email me here and we will send you a copy of our Marketing Strategies PDF.